The New York Jets are making a change to their uniforms to help a segment of their fans. 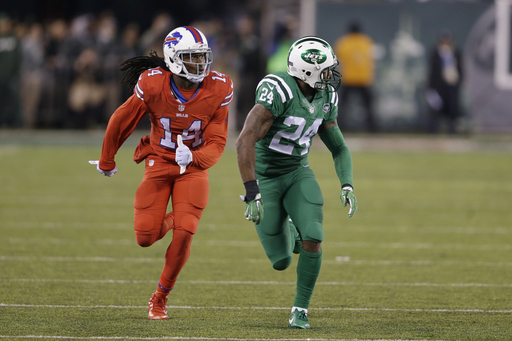 When the Jets take the field against the Bills on Thursday night, New York won’t be wearing the all-green "Color Rush" it wore last year but rather a white version. A group of colorblind viewers had trouble telling the Jets and Bills apart in last year’s Week 10 matchup, when the Jets wore mostly green jerseys while the Bills wore mostly red. A group of medical experts told the NFL that those color schemes would again be a problem for colorblind viewers. New York opted to wear the white version because Buffalo is the home team. But the Jets did make a few modifications to their white jerseys in the spirit of the "Color Rush" initiative. "In the spirit of participating in the program, we have tried to do some things to honor the initiative – the white facemask, the white gloves, the white shoes and the white socks with no stripes," said Chris Pierce, the team’s senior director of fan commerce, via the team’s website.